Now you can maximize system performance and increase end-user productivity for mainstream PCs with the new Intel PRO/1000 GT Desktop Adapter. Today's desktops are weighed down with high-bandwidth applications including voice, data, streaming video, video conferencing, and long-distance storage area networks. 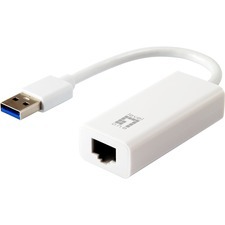 The nvironmentally friendly Intel PRO/1000 GT Desktop Adapter's Gigabit bandwidth makes quick work of these network applications with power to spare. 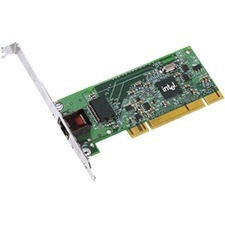 The Intelligent Way to Connect Built on Intel lead-free technology, the Intel PRO/1000 GT Desktop Adapter is the environmentally friendly way to bring Gigabit performance to your desktop at no extra cost1. The GT Desktop Adapter contains no lead and conforms to the European Union's Restrictions on the use of Hazardous Substances and Japan's White Goods Recycling Act.Intel Ethernet- It just works!